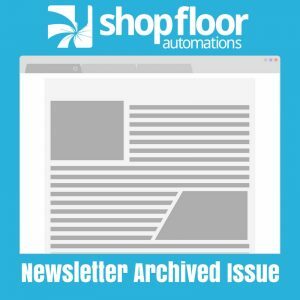 The following is an archived copy of our Shop Floor Automations Newsletter from December of 2011. We hope 2011 has been a good year for you and that 2012 will be even better. We are planning to launch a few new products next year and are encouraged with news about machine tool sales and continued growth in our market. Please let us know of anything we can help with to wrap up this year or kick off the New Year. 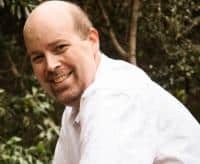 On October 27th, we lost our dear friend and Co-Founder, Shawn Dunne to cancer. and culture that was focused on providing the best solutions to our customers. learning about the wide variety of industries we serve. He will be missed by all of us. What jobs do you have planned next year? Next month? Next week? Are you using a whiteboard or Excel spreadsheet to figure this all out? Get an instantaneous view of all of your jobs, equipment, capacity, bottlenecks, etc. with a simple click. Our Scheduling Solution JobPack can help you with all these needs and more. and taking a little time to explain things to both parties. Now our Partner is happy, as well as our mutual customer! to our Quarterly newsletter and get rewarded! Earn up to 10% of a transaction. we will add 25% to your reward when it closes. Are you about to change your shop floor PC? Be sure not to throw out your security key / dongle. to replace your old parallel key for a small fee. Our year end specials are coming to an end soon. 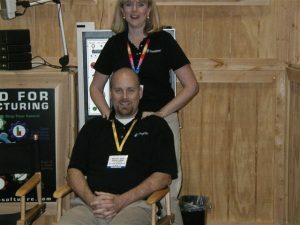 Planning on upgrading your PC, adding machines or moving the shop in 2012? and pay in advance, you can receive up to 20% off. Use of the service call must be made within 6 months. Call (619) 461-4000 to place your order now. Enjoy the Holidays with your family and friends while having a safe New Year!